While many people agree with the basic principles of net neutrality, these specific rules have been a lightning rod for controversy. That’s because in order to get the rules to hold up in court, the FCC reclassified broadband networks so that they fell under the same strict regulations that govern telephone networks. Pai, who has called the rules “heavy-handed,” contending that they’ve deterred innovation and depressed investment in building and expanding broadband networks, says he’s returning the FCC to a “light touch” approach to regulation. In a last-ditch effort to get Congress to step in and stop the vote, protesters have gathered in front of Verizon stores and at the the FCC headquarters in Washington. And they’ve mounted online protests. But so far, the vote is going ahead as planned. 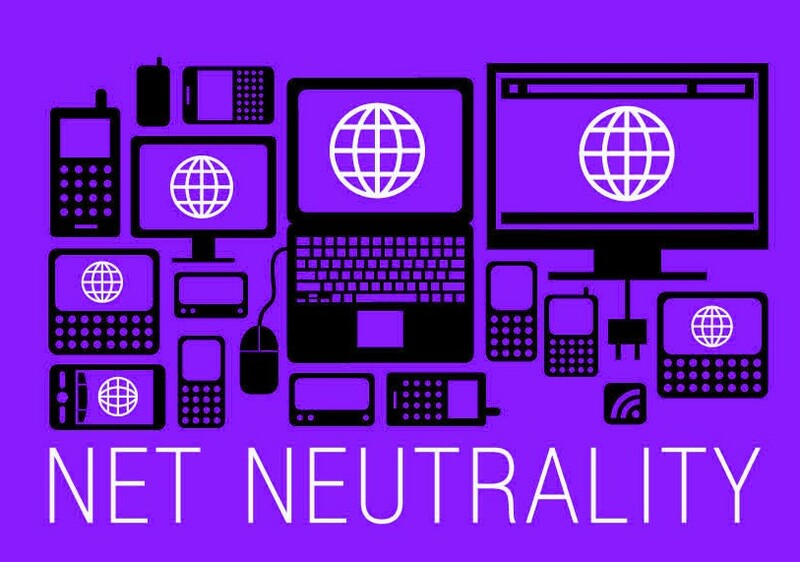 If you’re still unsure of what all this net neutrality stuff means. We’ve assembled this FAQ to put everything in plain English. 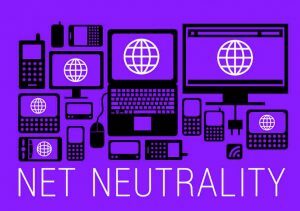 Net neutrality is the principle that all traffic on the internet should be treated equally, regardless of whether you’re checking Facebook, posting pictures to Instagram or streaming movies from Netflix or Amazon. It also means that companies like AT&T, which is trying to buy Time Warner, or Comcast, which owns NBC Universal, can’t favor their own content over a competitor’s content. I understand what it means not to block or slow traffic. But what’s paid priority all about? In addition to rules that prevent broadband companies from blocking or throttling access to the internet, the FCC in 2015 included a rule that banned broadband providers from charging a company, like Netflix, an extra fee to serve its customers faster than a competitor. Net neutrality supporters say this could lead to a pay-to-play internet, with large companies like Netflix, Google or Facebook paying for speedier access, while startups, which can’t afford the added cost, could get left out. This could ultimately result in fewer choices for consumers and less innovation. It could also result in higher prices for consumers, as the added costs trickle down. Is there any benefit to getting rid of these rules? Broadband companies say the current regulations are too restrictive. They say they’ve voluntarily committed to not blocking or slowing internet access, so explicit rules are unnecessary. While no internet service provider has announced specific plans to offer paid-priority services, several executives say they might in the future. They argue there are certain applications — in medicine or in the development of autonomous vehicles — that require fast, low-latency internet connections that a paid-priority service would deliver. If broadband companies don’t plan to inhibit traffic and have no plans to offer paid priority, what’s this debate really about? Fundamentally, this debate is about whether or not the FCC should have the authority to regulate the internet. Big companies like AT&T, Comcast and Verizon say they’re committed to protecting net neutrality. But they’re opposed to the FCC’s reclassification, in 2015, of broadband as a public utility, which allows the agency to regulate their broadband networks like the telephone network. But without classifying broadband as a utility, the FCC can’t impose its existing rules. Why are internet service providers so opposed to classifying broadband as a utility? Broadband providers fear the FCC will try to set prices on their services or will require them to share their infrastructure with competitors. Pai says the regulations have already hurt businesses, that investments in broadband infrastructure are down in 2017 compared to 2015 when the rules were adopted. Net neutrality supporters dispute those points and say that phone and cable companies have made record profits since the new classification was imposed. What’s more, they say, broadband companies haven’t told their investors that they’ve had to curtail investment due to government regulation. What does the repeal of these rules mean for me? The internet has been called the great equalizer in our society, because it offers anyone with a product to sell, an idea to share or a service to offer the ability to reach billions of people across the world. How the FCC classifies broadband is a big deal, net neutrality supporters say, because it affects how consumers experience the internet. Without FCC rules and oversight, broadband companies, at least in theory, could limit, restrict or manipulate the types of services and voices you experience online. Net neutrality supporters fear that without these protections, broadband companies could curate your internet experience like cable TV does, with customers subscribing to groups of channels or sites. Broadband providers argue that these fears are overblown. They say market forces will keep them honest and that the internet will continue grow as it did in the days before net neutrality regulations. But critics note that some regional and rural markets have only one broadband service provider available to them, which undermines the argument that free markets will protect consumers. Also, consider that large ISPs like Comcast, through its ownership of NBC Universal, and AT&T, with its planned acquisition of Time Warner, are also creating content and competing with companies that use their networks to deliver services. Critics say, and the courts have agreed, that this gives broadband companies an incentive to disadvantage competitors. Will I notice a difference in the internet on Thursday after the FCC votes to repeal the rules? No. For one thing, the repeal won’t go into effect until the new order adopted by the FCC is published in the Federal Register, which is likely to happen early next year. But even after that happens and the rules are officially repealed, it’s unlikely that your experience of the internet will instantly be different than it was before the repeal. The changes that many net neutrality supporters fear are likely to happen slowly as cable and phone companies roll out new services and change their business models. The same is true of the benefits that the broadband providers say will come from repealing the rules. Promised increased investment and the positive effects on service quality and reach won’t be felt immediately either. Net neutrality supporters have vowed to continue the fight in court. Expect lawsuits to be filed early next year after the FCC’s repeal order is published in the Federal Register. The legal challenges will likely take years to resolve. Meanwhile, there’s some interest on Capitol Hill to pass legislation to protect net neutrality. But because this issue has become so politicized it’s hard to imagine a bipartisan effort. One thing’s clear: This is not the last you’ll hear of net neutrality.